Chikungunya is a viral infection transmitted through the bite of an infected Aedes mosquito. Chikungunya has spread significantly in recent decades and is now a major global health problem. Chikungunya is rarely fatal. Symptoms include fever, severe joint and muscle pains, headaches and skin rash which tend to resolve after 1-2 weeks; however long-term joint pain may persist for several months or years. Travellers should make themselves aware of where chikungunya outbreaks are occurring prior to travel and reduce their risk of exposure by taking mosquito bite prevention measures. There is no licensed vaccine available to prevent chikungunya and no anti-viral treatment. Chikungunya is a viral infection predominantly transmitted to humans through the bite of an infected Aedes mosquito. The disease occurs in some tropical and subtropical regions of the world and in recent decades has emerged as a major global health problem following increasing international spread. The chikungunya virus (CHIKV) is an alphavirus that was first isolated following an outbreak in Tanzania in the 1950s . The term chikungunya is derived from the Makonde language of Tanzania and means, “that which bends up”, referring to the severe joint pains that occur as part of the infection . Typically symptoms include fever, joint pain, muscle pain, rash and headache. The disease usually resolves in one to two weeks and is rarely fatal; however, joint pain may persist for months or years . In the latter half of the twentieth century, chikungunya predominantly occurred at relatively low levels in tropical and subtropical regions of Asia and Africa . The mosquitoes responsible for the transmission of CHIKV (Aedes aegypti and Aedes albopictus) have a wide distribution particularly throughout tropical and subtropical areas. In recent years, they have also been found in parts of Europe and the USA. Infected travellers have the potential to introduce CHIKV to new areas of the globe [4, 5], and in recent decades this potential has been realised with a number of very large international outbreaks affecting millions of people in areas not previously experiencing chikungunya. These outbreaks have occurred in the Indian Ocean islands, India, the Pacific islands, the Caribbean, Central America and South America [3, 6, 7]. Importantly a number of smaller outbreaks have also occurred in temperate Europe in France and Italy [8, 9]. Although these outbreaks were small, they highlight the potential for global spread outside the tropics and subtropics. As the risk areas are constantly evolving, travellers visiting countries where chikungunya is known to have occurred, or has the potential to occur, should check the latest information on outbreaks prior to travel. Current outbreaks of chikungunya are recorded in the Outbreak Surveillance section of our website. A record of countries where CHIKV has occurred is also available on the United States Centre for Disease Control (CDC) website. Travellers visiting areas experiencing on-going outbreaks are at risk of acquiring chikungunya. Epidemics occur predominantly in the rainy season of tropical countries although seasons may vary in different regions. The mosquitoes responsible for transmission of CHIKV are predominantly day biting mosquitoes [10, 11]. The presence of natural and man-made containers that serve as breeding sites for Aedes mosquitoes around human habitation are a risk factor for chikungunya transmission [10, 11]. The majority of cases reported in the UK are acquired in the Indian Ocean islands, South and South East Asia and Africa . In England, Wales and Northern Ireland, 295 individual cases of chikungunya infection were reported by Public Health England (PHE) in 2014, more than a 12-fold increase compared to 2013 (24 cases) . Eighty eight percent of these had travelled to the Caribbean and South America. CHIKV is transmitted predominantly through the bite of an infected Aedes aegypti or Aedes albopictus mosquito. These mosquitoes are active throughout the day but most often bite just after sunrise and just before sunset [10, 11]. Aedes aegypti tend to reside in close proximity to human dwellings in urban areas and often bite indoors ; they tend to bite humans rather than animals . 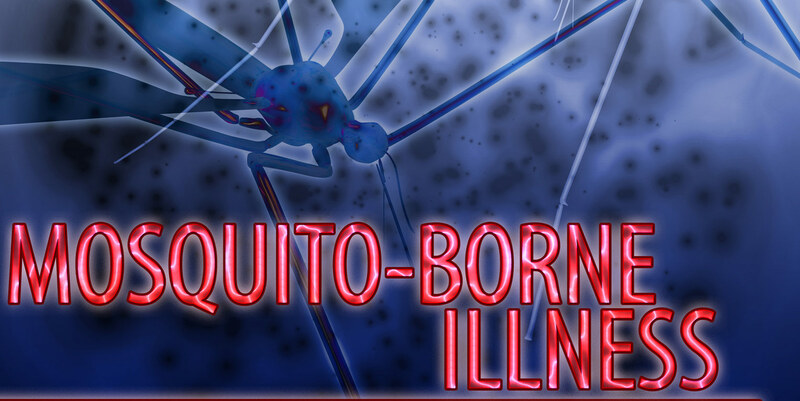 Aedes albopictus are active in urban, peri-urban and rural areas, as well as near to forested areas; they bite both indoors and outdoors, but prefer outdoors . Aedes albopictus bite humans and a wide variety of animals, allowing the mosquito to transmit CHIKV between animals and humans. In Africa, CHIKV is transmitted between Aedes mosquitoes and non-human primates or small mammals in forested areas, creating an animal reservoir . Outbreaks in Africa are frequently associated with heavy rainfall, when mosquito populations increase and spread of CHIKV from animals in forested areas to humans in nearby dwellings is more likely [3, 5]. During epidemics, CHIKV can circulate between human beings and mosquitoes without the need for an animal reservoir. In contrast, transmission in Asia seems to occur predominantly between humans and Aedes mosquitoes in urban locations . It may take between 4 and 8 days for the first symptoms of chikungunya to develop; it can be shorter or longer in some people. Onset of the disease is characterised by sudden onset of high fever, severe arthralgia (joint pains) and myalgia (muscle pains), with associated headaches, photophobia (sensitivity to light) and skin rashes . Some people can be infected with CHIKV without developing symptoms, although this appears to be relatively rare. Arthralgia is commonly the most disabling symptom and tends to affect multiple joints, particularly the extremities (ankles, wrists and hands) [3, 13]. The infection usually resolves after one to two weeks, however in some patients, joint pains may persist for months or even years causing long-term disability . Up to 12 percent of individuals have persistent joint pains after three years . Occasional cases of eye, neurological and heart complications have been reported, as well as gastrointestinal complaints. Serious complications are rare, as are fatalities (approximately one in every 1000 cases). Those at highest risk of dying include young babies, the elderly and adults with underlying health problems . CHIKV infection is suspected when typical clinical symptoms occur in a person who has visited or resided in a known risk area, particularly when an outbreak is on-going. The diagnosis can be confirmed by detecting the presence of the virus or antibodies to the virus in the patient’s blood. In the UK, appropriate samples from suspected cases should be sent, along with a full clinical and travel history with relevant dates, to the PHE Rare and Imported Pathogens Laboratory. No specific antiviral treatment is currently recommended and patients are treated with rest, hydration and medications for pain and fever. Nonsteroidal anti-inflammatory drugs may be helpful in alleviating symptoms. Health professionals should be aware of where CHIKV outbreaks are occurring to enable appropriate pre-travel counselling. Travellers should seek advice from a health professional prior to travel and may reduce the risk of acquiring chikungunya by taking bite prevention measures. Particular vigilance with bite precautions should be taken around dawn and dusk. If possible natural or man-made water filled containers, which may act as mosquito-breeding sites, should be removed. There is no vaccine currently available to prevent chikungunya. Centres for Disease Control and Prevention: Where Has Chikungunya Virus Been Found? Ross RW. The Newala epidemic. III. The virus: isolation, pathogenic properties and relationship to the epidemic. J Hyg (Lond). 1956; 54(2): 177-91. Robinson MC. An epidemic of virus disease in Southern Province, Tanganyika Territory, in 1952-53. I. Clinical features. Trans R Soc Trop Med Hyg. 1955; 49(1): 28-32. Burt FJ, Rolph MS, Rulli NE, et al. Chikungunya: a re-emerging virus. Lancet. 2012; 379(9816): 662-71. Benedict MQ, Levine RS, Hawley WA, et al. Spread of the tiger: global risk of invasion by the mosquito Aedes albopictus. Vector Borne Zoonotic Dis. 2007; 7(1): 76-85. Higa Y. Dengue Vectors and their Spatial Distribution. Trop Med Health. 2011; 39(4 Suppl): 17-27. Roth A, Mercier A, Lepers C, et al. Concurrent outbreaks of dengue, chikungunya and Zika virus infections – an unprecedented epidemic wave of mosquito-borne viruses in the Pacific 2012-2014. Euro Surveill. 2014; 19(41). Johansson MA. Chikungunya on the move. Trends Parasitol. 2015; 31(2): 43-5. Rezza G, Nicoletti L, Angelini R, et al. Infection with chikungunya virus in Italy: an outbreak in a temperate region. Lancet. 2007; 370(9602): 1840-6. Caglioti C, Lalle E, Castilletti C, et al. Chikungunya virus infection: an overview. New Microbiol. 2013; 36(3): 211-27.